Every time I find myself on the Golden Gate Bridge I find myself staring at the very green, very empty island that sits sheltered in the Bay. So, after a year of living in San Francisco, I decided it was time to explore Angel Island. Angel Island is a popular destination spot for locals and tourists who have time to fully explore San Francisco and find themselves wanting a more adventurous activity. Angel Island is only a short ferry ride from either Tiberon or SF and yet when you step off the boat, and onto the island, it feels as if you have just traversed miles and miles. There are no cars, no city noise. There are only hikers and nature. 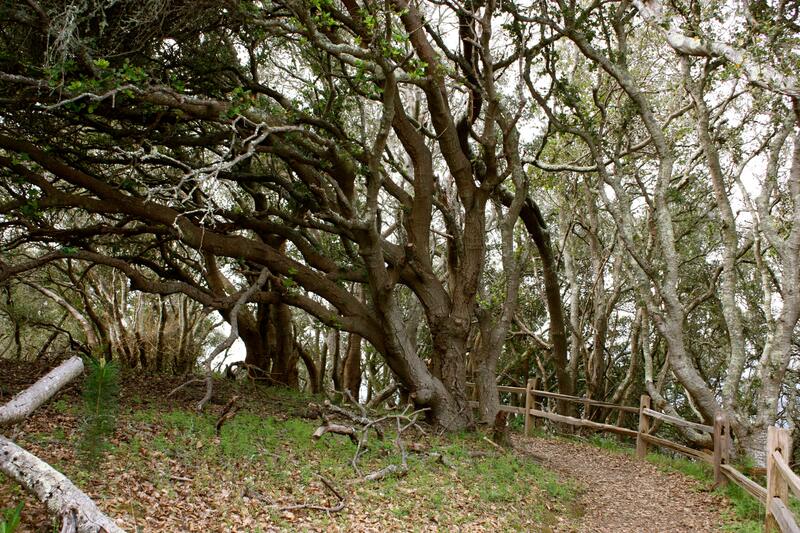 The island is a wondrous green environment, dominated by Mount Livermore which rises above the beaches and provides miles of hiking trails to visitors. There are many different hiking trails you can choose to complete, mixing and matching to see everything you want and to create your hike to fit the degree of difficulty you are comfortable with. You can see a full hiking guide here. The day we went we chose to hike from Ayala Cove (where the ferry drops you off) up to the top of Mt. Livermore on the North Ridge Trail. We then hiked down the SF side of Mt. 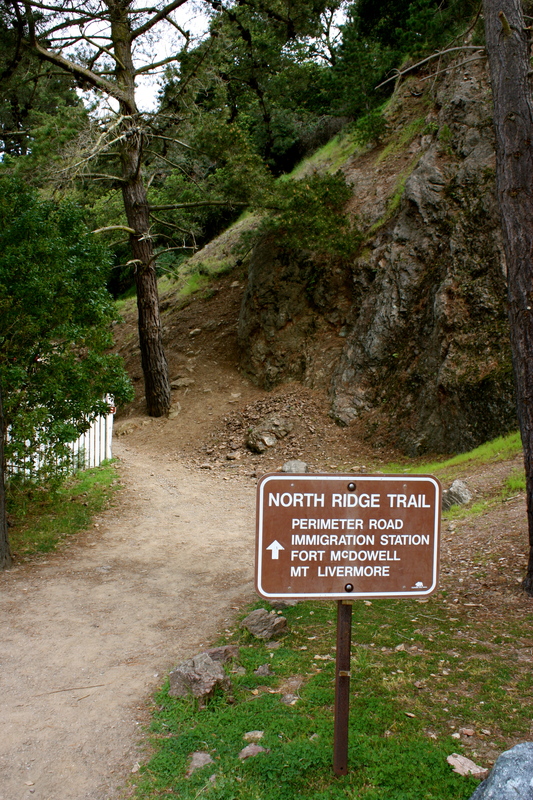 Livermore on the Ida Trail and completed our hike by following the Perimeter Road back to the ferry pickup. Our hike was around 7.5 miles and very manageable (just make sure you wear shoes that can handle the terrain). The hike carries you through muggy air and dense forests, into dry terrain spotted with wildflowers, and to the top of the mountain. You pass through twisted trees, ones with huge trunks, and ones just barely starting to emerge from the soil. 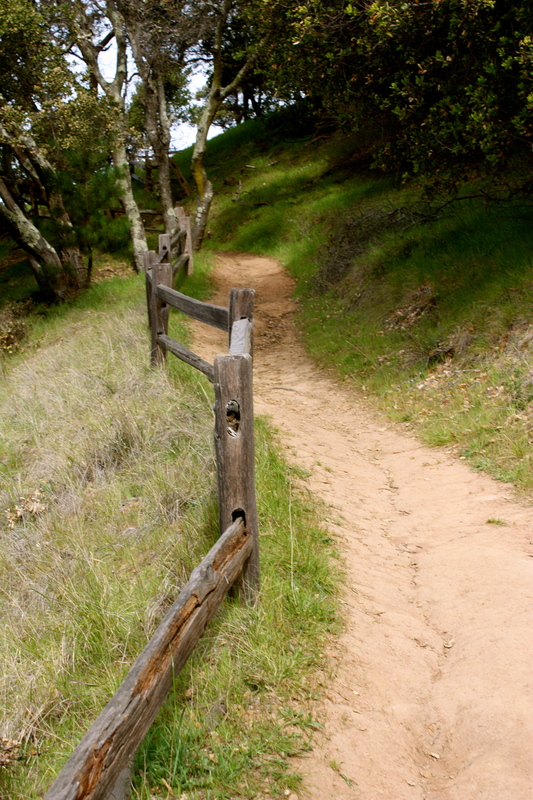 You hike up and up until the trail comes to a crest and you reach the top of the mountain. From the top of the mountain, you can see all of San Francisco: the Golden Gate Bridge, the Bay Bridge, Alcatraz, and the skyline. The view makes the trek well worth it. After enjoying the view with the other hikers who will inevitably be there with you, continue to walk on the path for a few feet where there are two semi secluded picnic tables. Many people don’t seek them out because they are lower than the crest of the mountain, but they provide the same view and a place for you to sit. 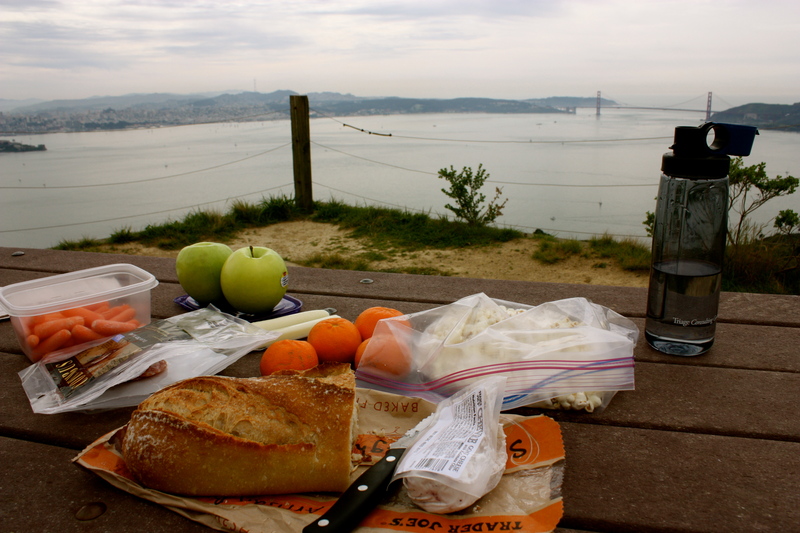 Once you take a seat, roll out your picnic lunch and enjoy the rest of your day on Angel Island. This entry was posted in Explore, San Francisco, Stuff we love and tagged adventures, explore, hiking, Outdoors, picnic, san francisco, sunshine, view. wow, it looks both peaceful and haunting. gotta go sometime when i’m in the bay area!